The Standing Stone: Castlequarter Abbey, Toomyvara, Co. Tipperary. 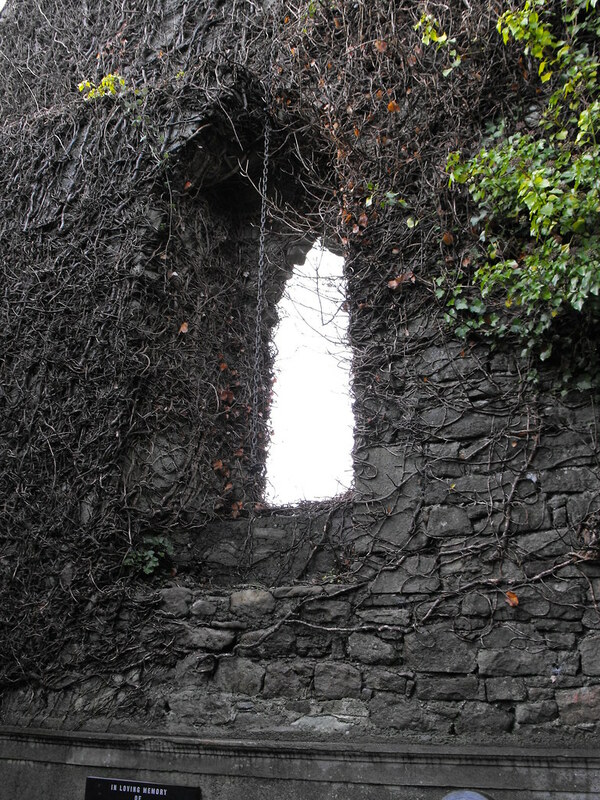 Castlequarter Abbey, Toomyvara, Co. Tipperary. 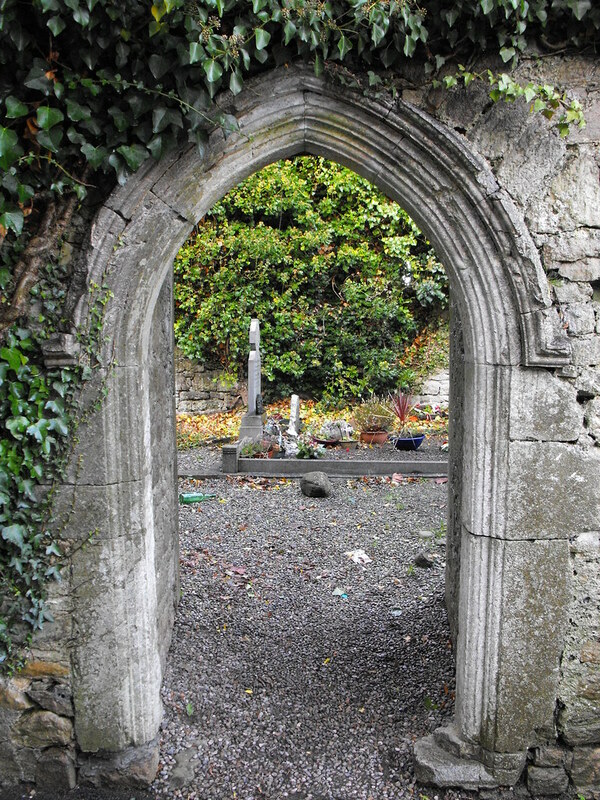 Location – In Toomyvara, just off the N7 next to a modern church and S of the nearby ruined church. 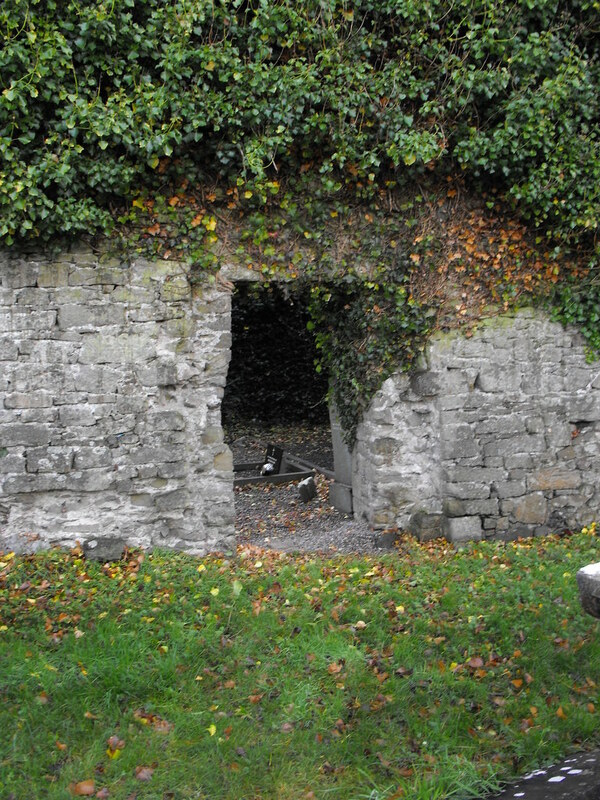 Description and History – Although little remains of this Augustinian Abbey it appears as if it was once a large foundation which included many buildings and cloisters, although none of these remain. The original foundation, which no longer remains, was built possibly in the 6th or 7th century and dedicated to St. Donan. 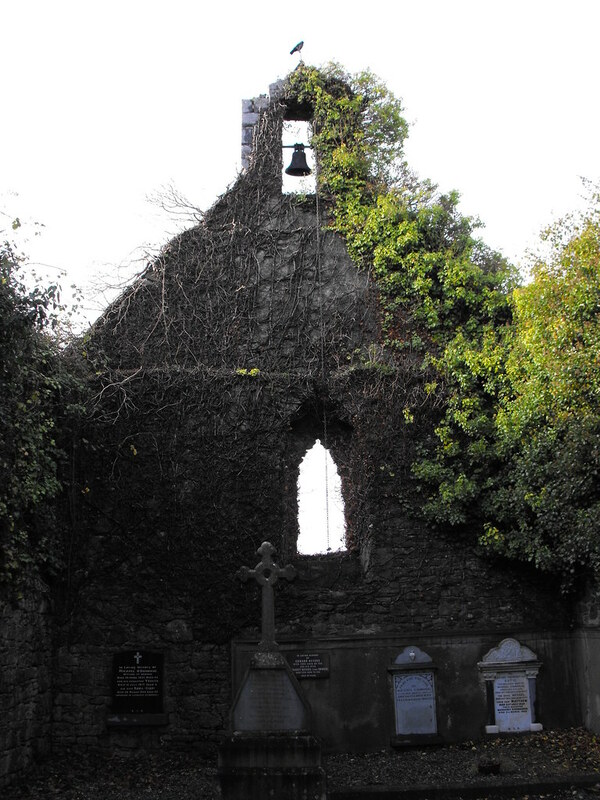 It was later rebuilt and rededicated to St. Mary sometime around 1140 when it became a daughter-house to Monaincha Abbey. It was also strongly associated with the local ruling O’Meara clan. However, by 1450 the site was in bad repair and was never restored to its former glory. 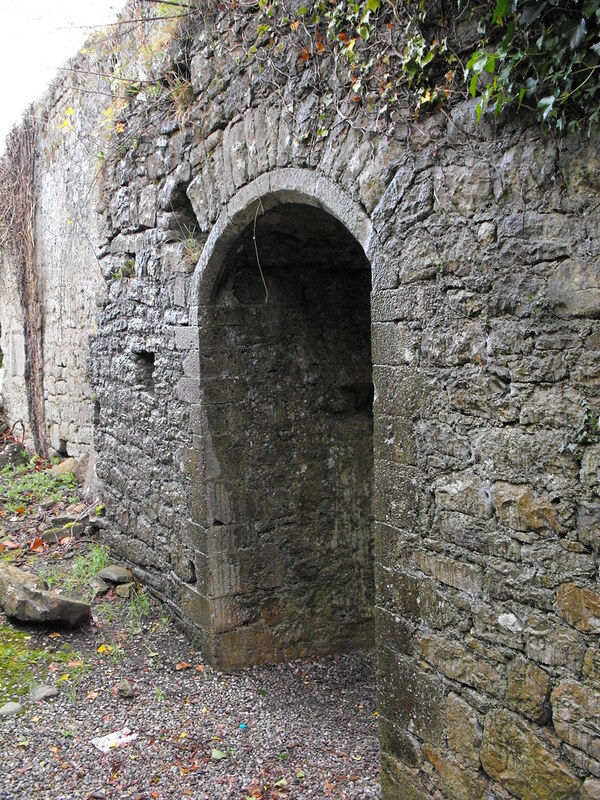 The site was eventually granted to Miler MacGrath in 1597 and dissolved. 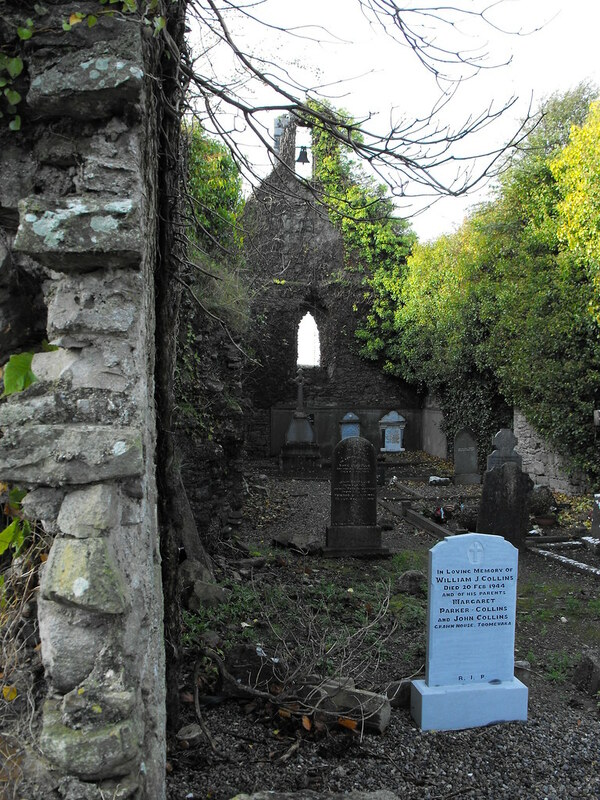 It was later re-opened as a small parish church and these are the present remains. 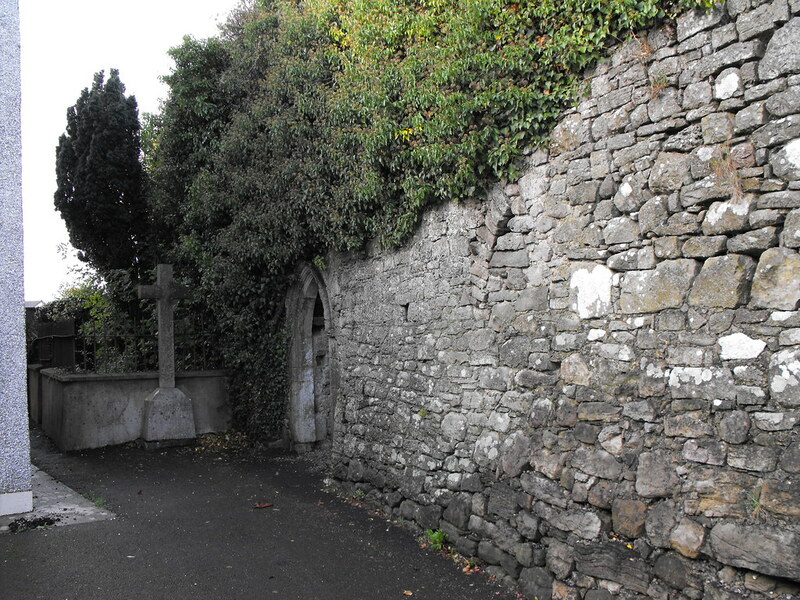 What remains is a small church roughly 21m in length and 6.4m wide. 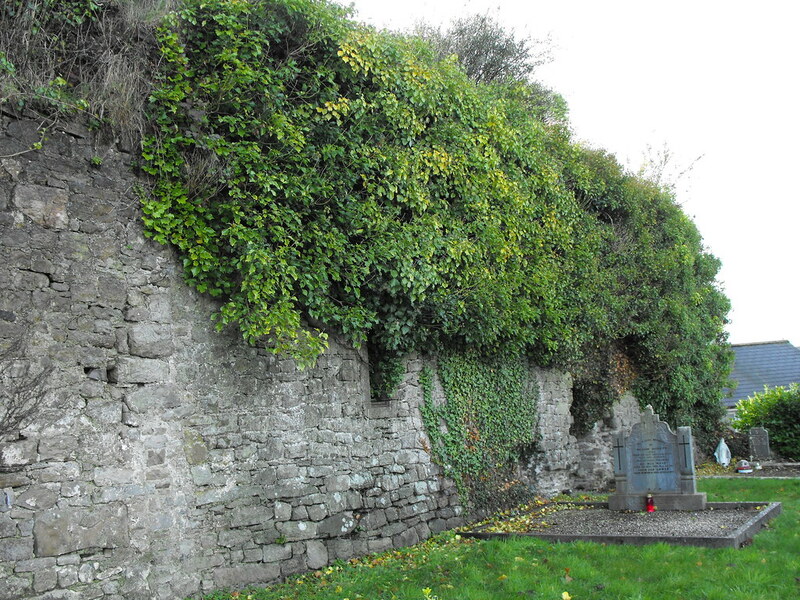 The E end of the church has been completely destroyed and much of the remaining walls are covered in ivy. 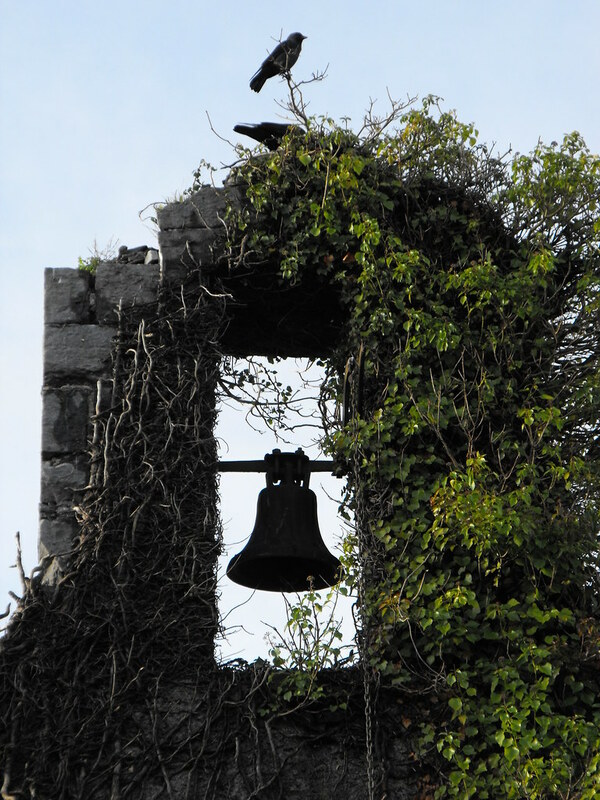 The entrance is original and dates to the 16th century and a bellcote survives with modern bell. 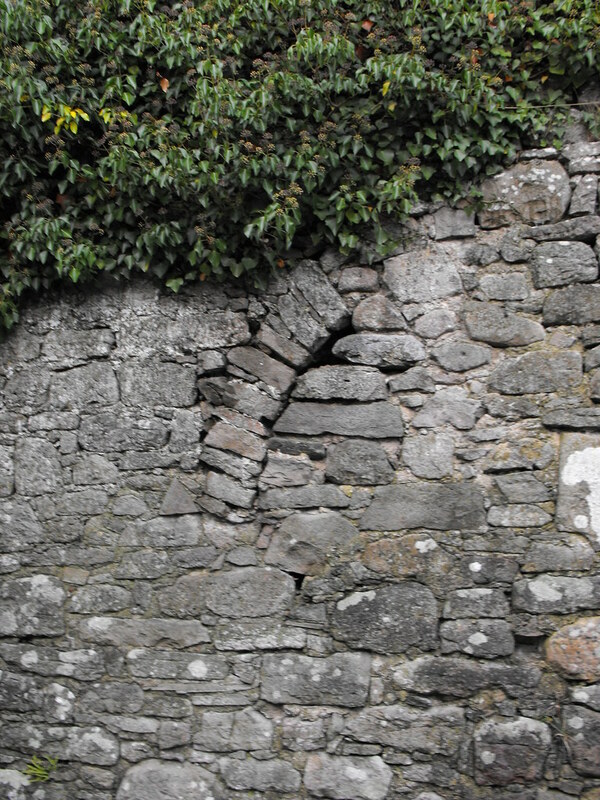 There are the remains of a blocked up doorway in the S wall. This site is not as well maintained as its neighbour and it is sad to see such a substantial foundation in such a poor state. History was not kind to this place. Difficulty – East to get to and there is plenty of parking. 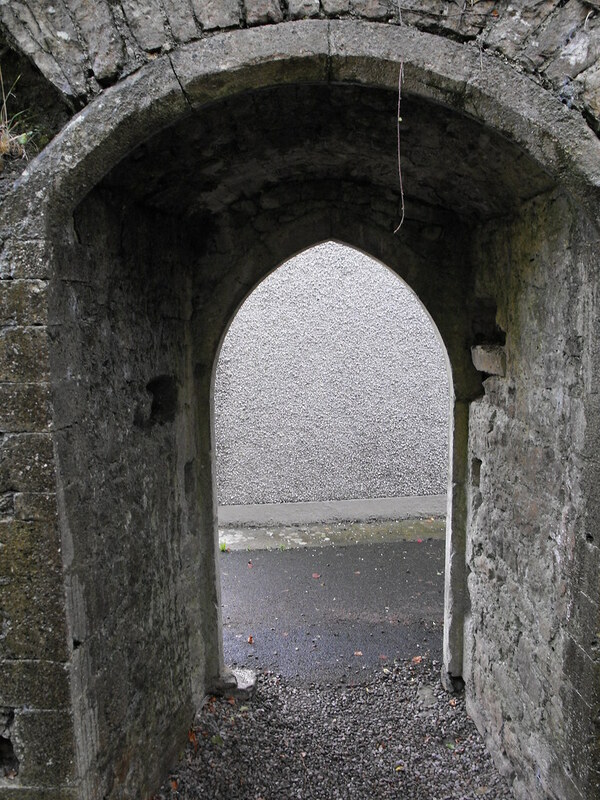 This may be part of an old doorway that has been blocked up.